You need to pay attention if your car leaking antifreeze when parked. Antifreeze must be refilled immediately. 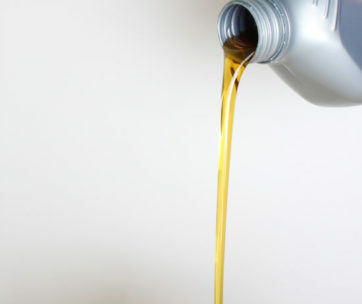 Car Leaking Antifreeze When Parked: What Should You Do? Car leaks are never fun. As a matter of fact, one big car leak can completely ruin your day. 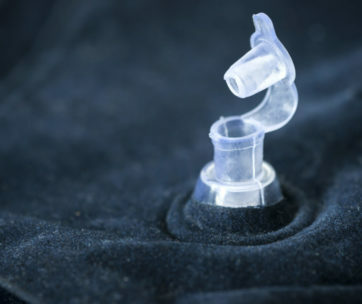 It all depends on where the leak is and what fluid leaks from your vehicle. Now, leaking windshield wiper fluid is obviously not an emergency. However, leaking oil is pretty dangerous. Furthermore, you need to act swiftly if you notice your car leaking antifreeze when parked. Antifreeze is far more important than most drivers ever know. Therefore, it plays a vital role in the overall performance of your vehicle. Now, there are some clear signs of a leakage. Plus, you can act immediately to get things fixed. All of these details are in this blog post for you. That way, you can properly react to a potential antifreeze leak. Especially if you return to your vehicle and notice a big leak underneath. Do not freak out if you notice your car leaking antifreeze when parked. Instead, read the information below and follow all the helpful steps. We will help you get back on the right track! Antifreeze: What Does It Do? The radiator in your car is responsible for keeping the engine cool. As a result, antifreeze and your radiator go hand-in-hand. A car engine overheats to dangerous temperatures without a radiator and without antifreeze. 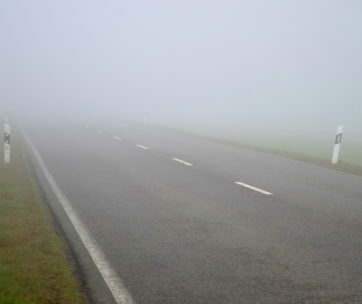 Therefore, it is rather hazardous to drive long distances without the right antifreeze level. Especially if you drive an older vehicle and live in a warm area. You must always keep an eye out to notice your car leaking antifreeze when parked. That way, you can take care of the problem immediately. Antifreeze is a liquid that you add to the water inside of the engine’s cooling system. According to experts, the antifreeze and water work together to lower the overall freezing point. For those who do not know, the freezing point is the temperature at which the water freezes. As a result, the water inside will not freeze in harsh winter conditions. Frozen water in an engine spells immediate danger and is costly to repair. Therefore, the work of antifreeze is obviously very important. On the other hand, antifreeze increases an engine coolants boiling point. For those who do not know, the boiling point is the temperature at which the water boils. If engine cooling water boils then the engine overheats. Engines cannot function if they overheat and you will need at ow. Avoid all of this by looking out for potential leaks. After all, this is much easier than you think. As previously mentioned, it is clear whether or not your car leaks antifreeze. 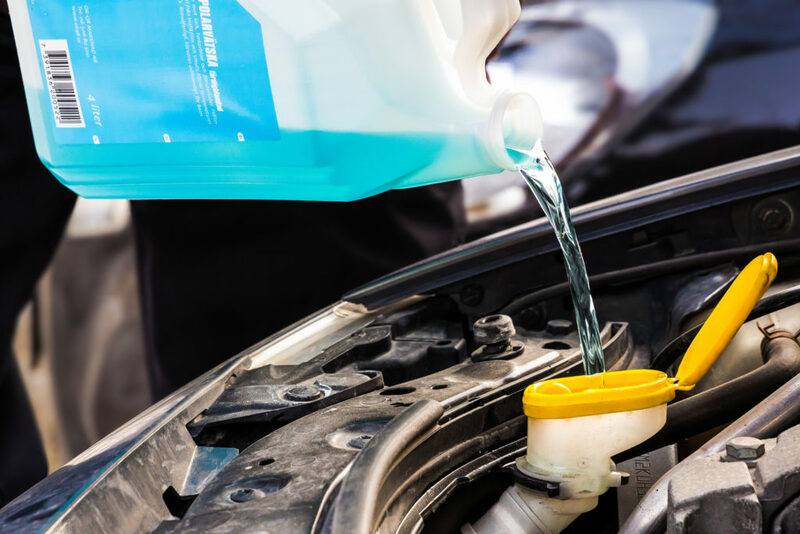 Antifreeze is usually a vibrant color such as orange, pink, green, or a light blue. Thus, you can usually notice a leak underneath your vehicle. It always stands out against black pavement or concrete. Check your vehicle at two key points during the day. First, look underneath as you leave for work every day. Secondly, check as you approach the vehicle when leaving work. Customers are wise to check for more than just antifreeze leaks. If you see your car leaking antifreeze, schedule an appointment with a mechanic. Have them inspect the coolant system and the radiator. There are a number of sources for this type of problem. It can range from a cracked coolants system to lose engine coolant hoses. Let the professionals handle all of the dirty work. But, what should you do if you are unsure? What if you cannot tell whether the liquid is antifreeze or not? Well, there is one other test available for you. This test for a car leaking antifreeze when parked comes from How Stuff Works. First and foremost, this is an overnight test. So you need to have patience when it comes to the cardboard test. However, it is also a really easy test. Literally, anyone can do this. All you need is your car, a garage, and a cardboard box. Start first with the cardboard box. Flatten it completely so that it is a flat surface without any bumps or creases. This is key. If there are creases or the cardboard is uneven then your test will not help at all. Park your car in the garage. Then, take the cardboard and place it under the front end of the vehicle. The first half of this test is done. Lucky for you, the second half is just as simple. Wake up in the morning and remove the cardboard box from under the vehicle. fully inspect the cardboard all over for drips. Now, be sure to note the position of the cardboard under the car. This helps provide an exact location for the leak. Pop the hood and take a look at the engine for any visible leaks near the drip marks. If you notice nothing, schedule an appointment with a mechanic. At the very least, you know for sure there is an antifreeze leak. Then, you can properly address the situation. Knowing what to do when a car leaking antifreeze when parked is incredibly helpful. If you take one thing away from this blog, let it be this: get help from a professional. Yes, you can always notice if your car is leaking antifreeze while parked. Furthermore, you can also test at home with a flat cardboard box. However, unless you are an automotive expert, you cannot fix the problem. Thus, if you notice your car leaking antifreeze when parked, schedule an appointment with an automotive shop. If you have an antifreeze leak, the source is hard to identify. Especially if you are a casual driver. Furthermore, even car enthusiasts may not recognize the source of a leak. Also, the leak could even be beyond your control or self-repair. After all, a cracked radiator or cooling system needs professional repair. Use all of this information to improve your leakage today!